Congrats on buying your very first home! Obviously, there is a lot that needs to be done, so it’s time to get to work. As you progress through the first few months of being a new homeowner, however, it’s essential that you avoid making some common mistakes that would end up leading to some serious problems for you and your family. Not contacting professional air conditioning repair services — Only 42% of homeowners call a professional to perform routine matinee on their AC units. If you attempt to provide HVAC services yourself, you’ll not only end up causing more harm than good, you’ll be putting your entire family and property in jeopardy. Though there are plenty of DIY tasks you can do around the house, leave the HVAC work to professional air conditioning repair services. Starting too many projects at once — During the first few months or even the first year as a homeowner, you will have hundreds of project ideas running through your head. It’s okay to give yourself some leeway when it comes to these projects and understand that you can’t accomplish everything at once. You’re going to own this home for a long time, and starting multiple projects at the same time can result in you feeling overwhelmed almost instantly. Spending rather than saving — We don’t have to tell you, but buying a home isn’t exactly cheap. It might be an excellent decision in the long run, but you’re likely going to be strapped for cash during the first few months as a new homeowner. That’s why saving is perhaps the most important thing you can do during this time. Homeowners who spend, spend, and spend end up struggling financially much more than those who can budget and properly save. 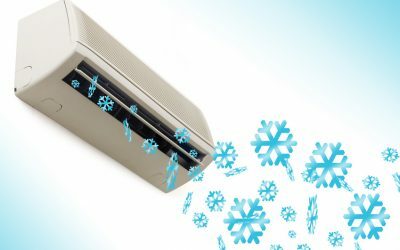 Again, give professional air conditioning repair services a call if you’re in need of any kind of air conditioning services. Good luck as a new homeowner, and make sure you’re always focusing on how to improve your home as well as protect it at all costs. If you want to speak with a company that can assist you with your home’s air conditioning in Brandon, Florida, give Complete Pro Air a call today.